Our Free Agent Pool is open during our four yearly registration periods. Players sign up for the Free Agent Pool and list pertinent info about where, when and what level soccer they’d like to play. Captains searching for extra teammates use them to find new players. Captains invite Free Agents to join/send Free Agents messages as needed. You will only be asked to pay a league fee if you agree to join a team. Teams in our CoEd leagues are always on the lookout for female players. 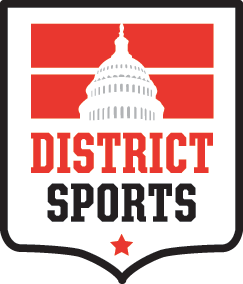 If there’s a current or upcoming league you’d like to join, just send us an email and we’ll contact team captains on your behalf — info@districtsports.com! We also encourage you to create a profile advertising yourself to team captains by registering for our Free Agent Pool, or directly register for open programs where we’re looking for female Free Agents. Men looking to join a District Sports team are encouraged to sign up for our Free Agent Pool, or directly register for open programs where we’re looking for for male Free Agents. By signing up for the Free Agent Pool, there is no guarantee you will get on a team, but most players do! Unfortunately, there is occasionally more interest from individual male players than there is space to accommodate everyone who registers.